Friends of Kevin is a Business Development Company. We promote our clients through a combination of social media promotion to our over 25,000 followers and personal introductions to potential clients and referral partners. Membership in the Friends of Kevin is only $200.00 per year or you can pay $16.67 per month by credit card. 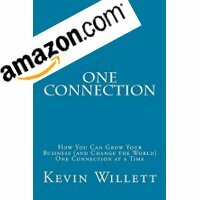 The Friends of Kevin and our CEO Kevin Willett are very active on all of the major social media sites. We will promote your business monthly to our over 25,000 social media connections. If you are active on social media, this is a great way to expand the reach of your social media posts. There is no need to worry if you are not active on social media, as many of our clients who joined the group are not, but enjoy the benefits of this type of exposure via the posts we create for them. We focus on helping our clients build relationships with referral partners because we believe that is the best way to grow your business. We do also host in person networking events but attendance is not required to be a client. We host events in Nashua, Salem and Dracut.